We provide our clients with open & honest boiler & heating care plans. We cover all types of gas systems and are soon to launch our oil cover plans also. Based just outside Exeter we believe an oil boiler cover plan is just as important as our gas boiler care due to the amount of oil fired heating system in the South West. We aim to be competitive with our pricing but our main strength is we’re local. With our engineers living locally and our offices in Honiton we are located in a fantastic central position allowing us to respond quickly to the surrounding towns & villages such as Exeter, Taunton, Honiton, Axminster, Lyme Regis, Dorchester, Illminster, Cullompton & many more. With a variety of cover plans to choose from we’ll find the right one for you and your heating system. If you have the right cover for your heating system you could save a small fortune. 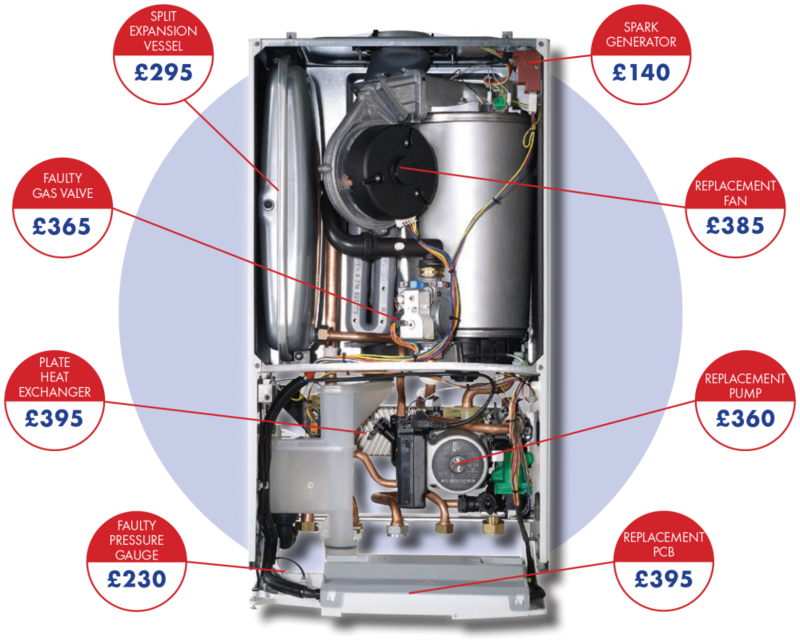 Boiler parts are very expensive but the main cost of repairing your boiler is the labour costs and possibly the call out charge. Some companies charge as much as £350 for an emergency call out and of course your boiler will never breakdown between 9am & 5pm! To avoid theses charges plan ahead and get covered. To learn more get in touch here.